A blog about military stuff. 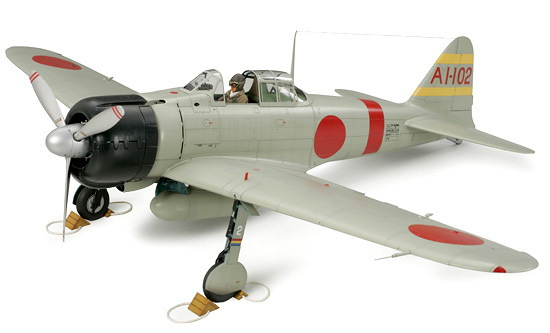 The Mitsubishi Zero A6M2b of the Imperial Japanese Navy. 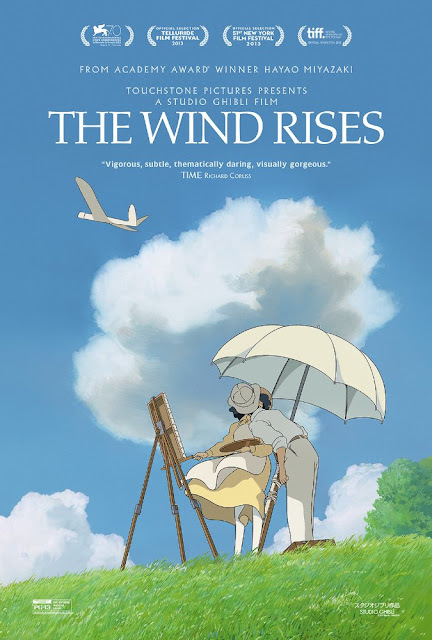 The Wind Rises ( 風立ちぬ Kaze Tachinu ) is a 2013 Japanese animated film written and directed by Hayao Miyazaki ( 宮崎駿 ) and animated by Studio Ghibili ( スタジオジブリ ). It is a fictionalized biopic about Jiro Horikoshi ( 堀越二郎 1903 - 1982 ), the principal designer of the Mitsubishi A6M Zero fighter which dominated the skies of the Pacific Theatre at the beginning of World War II. The film is adapted from Miyazaki's manga of the same name which in turn was loosely based on the 1937 short story The Wind Has Risen by Tatsuo Hori ( 堀辰雄 1904 - 1953 ). It won widespread critical acclaim, being nominated for the Academy Award for Best Animated Feature and winning the Golden Globe Award for Best Foreign Language Film and the Japan Academy Prize for Animation of the Year. According to the Motion Pictures Producers Association of Japan, The Wind Rises was the top grossing film in Japan for 2013, raking in a total of JPY12.02 billion ( USD120 million ). Its success in Japan is no doubt aided by the beautiful animation rendered by the artists of Studio Ghibili, the gripping and thought provoking story line and the equally captivating theme song Hikokigumo ( Contrails ), composed and sung by Arai Yumi ( 荒井由実 ). It also helps when the Zero, Imperial Japan's best fighter aircraft of World War II, still lives in the hearts and minds of many Japanese, including the younger generation born after the War, attaining some kind of cult status. Elsewhere, in North America, Studio Ghibili's films are distributed by Walt Disney through its Touchstone Pictures label. In the United Kingdom, the film was distributed by StudioCanal. 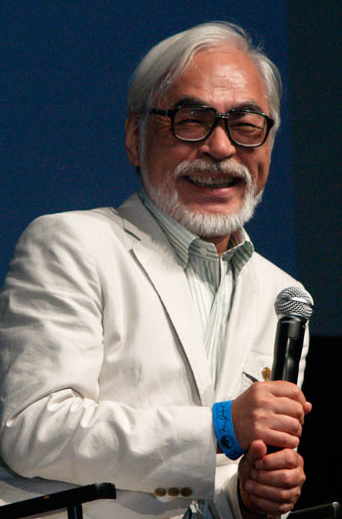 award winning director Hayao Miyazaki. It is not possible to fully appreciate The Wind Rises without understanding a little bit more about the studio and its famed director. Hayao Miyazaki was born on 5th Jan 1941 in Tokyo, Japan. 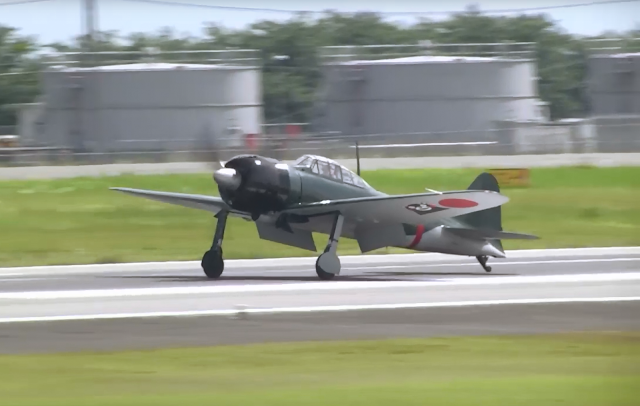 The Miyazaki family owned an aircraft company, Miyazaki Aviation ( 宮崎航空興学 ), which had a profitable business making rudders for the Zero fighter during WWII. As a young child, he experienced the horrors of the night time firebombing raids by the USAAF on Utsunomiya, an industrial city 100km north of Tokyo. This would turn out to have a profound effect on Miyazaki for the rest of his life, contributing to his anti-war and pacifist outlook. Lacking physical prowess and frequently sick as a child, Miyazaki became an avid reader especially of illustrated books and had aspired to be a manga author from a tender age. His interest in animation started after being captivated by The Legend of the White Snake ( 白蛇伝 Hakujaden ), Japan's first full color animation, in 1958. He taught himself to draw, and was influenced by Impressionist such as Paul Cezanne. After graduating from the prestigious Gukushuin University with a degree in Political Science and Economics in 1963, he joined Toei Animation ( Sailor Moon, Dragonball, Space Battleship Yamato, Galaxy Express 999 ) as an artist. It was at Toei that his talents as an animator and a story teller was recognized. He directed his first feature anime film The Castle of Cagliostro in 1979. His next film, Nausicaa of the Valley of the Wind, an adaptation of his science-fantasy manga of the same name set in a post-apocalyptic world full of strange plants and giant insects, was released in 1984. In it we could already see many of the recurring themes that Miyazaki would continue to explore in his later films, including his fascination with flight and flying machines, the impact of mankind and their interactions with the environment and his anti-war stance. The film's success paved the way for Miyazaki's co-founding of Studio Ghibili in 1985 with fellow director Isao Takahata and producer Toshio Suzuki and his life long collaboration with composer Joe Hisaishi ( 久石譲 ). Laputa : Castle in the Sky, released in 1986 was Studio Ghibili's first film. It won the Animage Anime Grand Prix that year. What followed in 1988 was Grave of the Fireflies, directed by Takahata, about the desperate struggle for survival of two young siblings amidst the bombing raids on Kobe during the closing months of WWII with a very tragic ending. 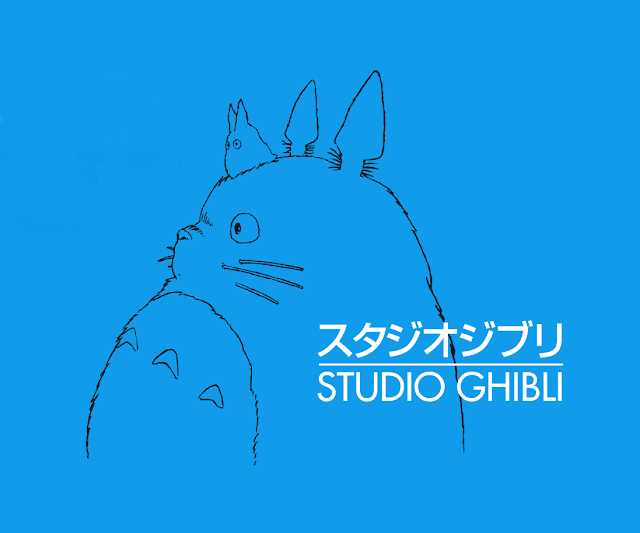 At the same time, Studio Ghibili released another film My Neighbour Totoro, directed by Miyazaki, about two young sisters in post-war rural Japan interacting with friendly forest spirits that would prove to be its greatest success, so much so that the iconic Totoro character, now a household name, even features on the studio's logo. Many more animated films followed, like Kiki's Delivery Service ( 1989 ), Porco Rosso ( 1992 ) from which we could sense Miyazaki's nostalgia for the scenes and traditional way of life in pre-war Japan and his love for old-styled European architecture. From 1996, partnership with Disney to distribute Ghibili films outside of Japan enabled the studio to reach out to an international audience. Americans and Europeans were exposed to the Ghibili magic through films like Princess Mononoke ( 1997 ), Spirited Away ( 2001 ) which won the Acedemy Awards for best animated feature in 2003, Howl's Moving Castle ( 2004 ), Tales from Earthsea ( 2006 ), Ponyo ( 2008 ) and Arrietty ( 2010 ). In 2001, the Ghibili Museum was established in Mitaka ( 三鷹 ), a suburb of Tokyo. Specially designed for children, it contains exhibits of Studio Ghibili's films and animations and features Ghibili's short films exclusive to the museum. The museum is extremely popular with locals and tourists alike and tickets have to be booked way in advance and are frequently sold out. Throughout his career as a manga artist, author, animator, screen writer, producer and film director that has spanned five decades, Hayao Miyazaki has established himself as one of the greatest name in the history of animation. Now 75 years old, he had repeatedly tried to retire for a total of six times in the past, only to return to the studio each time after a short hiatus. 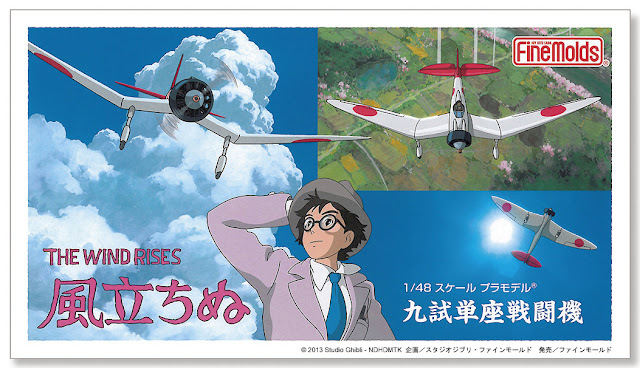 After the release of The Wind Rises in 2013, he announced his retirement from making full length feature films and so far it seems for real. If so it could be the biggest lost for fans of Studio Ghibili because nobody it seems could step into the shoes of Hayao Miyazaki. camphor tree. I suspect Snorlax has its origins in Totoro. Image : Studio Ghibili. The year was 1918. 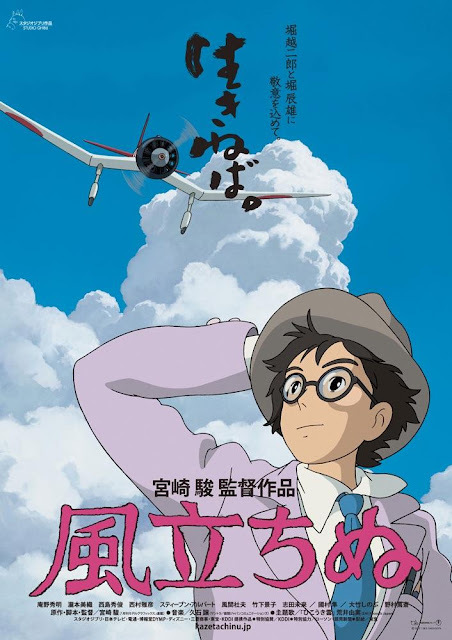 Schoolboy Jiro Horikoshi wanted to be a pilot but was prevented from achieving his dream because of his severe short-sightedness. He read about the famous Italian aircraft designer Giovanni Battista "Gianni" Caproni and dreamt about him. In his dream Caproni told him that he had never flown a plane in his life and that constructing them is far better than flying them. Five years later, amidst the post-war economic depression of the early Twenties where poverty and diseases ruled, Horikoshi was travelling by train to study aeronautical engineering at the Tokyo Imperial University when he met a young girl Naoko and her maid by chance. The Great Kanto Earthquake of 1923 struck, injuring Naoko's maid. Horikoshi helped to bring Naoko and her maid back to their home in Tokyo but left without leaving a contact. 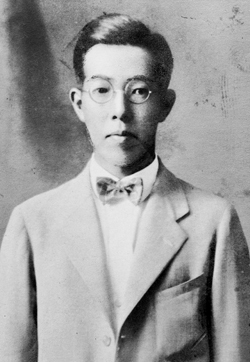 In 1927, Horikoshi graduated from the university and began working at the Mitsubishi Aircraft Company. He was tasked to design a fighter plane for the Imperial Army but the aircraft broke apart during trials and was rejected by the Army. Dejected from the seemingly pitiful state of the Japanese aviation industry, Horikoshi was sent to Germany in 1929 to understudy the Germans and to obtain a production license for the Junkers G.38. He dreamt about Caproni again, who told him about the beauty of airplanes, even if humans subjected them to evil uses. In 1932, Horikoshi became the chief designer for a new naval fighter, but his design again failed to impress and was rejected by the Navy. Depressed from his setbacks, Horikoshi took a break and went to the highland retreat of Karuizawa in Nagano Prefecture. There, again by chance, he was reunited with an older Naoko. They fell in love and became engaged, but Horikoshi learned that Naoko was suffering from tuberculosis, then an incurable infectious disease. Naoko had initially refused to marry Horikoshi until her illness was cured, opting to recuperate at the alpine sanatorium when Horikoshi returned to work on his prototype. However, unable to bear the pain of separation, Naoko eventually left the sanatorium for the city and the couple was married. They enjoyed a brief period of marital bliss until Naoko's illness deteriorated for the worst. 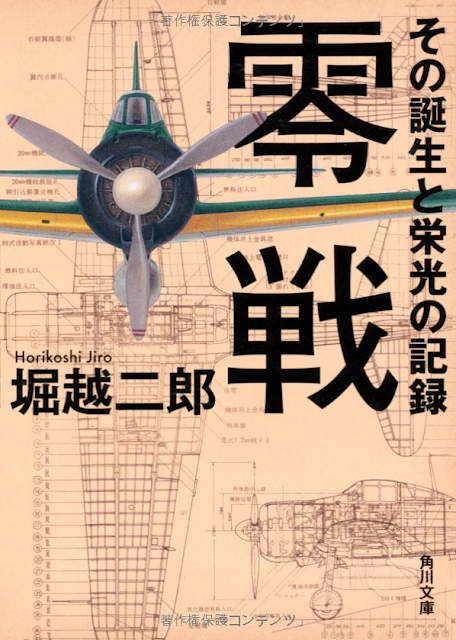 By 1935, Horikoshi eventually perfected his design, the Mitsubishi A5M, predecessor of the A6M Zero. At the test site, Horikoshi felt a gust of wind after the successful conclusion of the trials and he sensed the passing of Naoko. 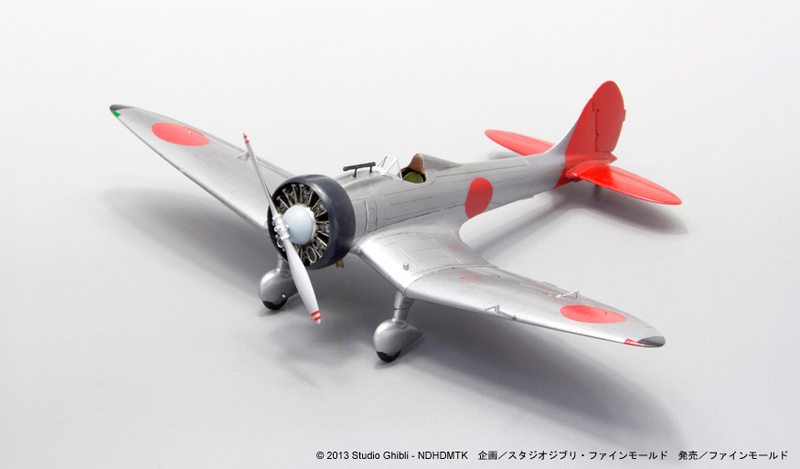 Mishibishi Type 96 A5M Claude. 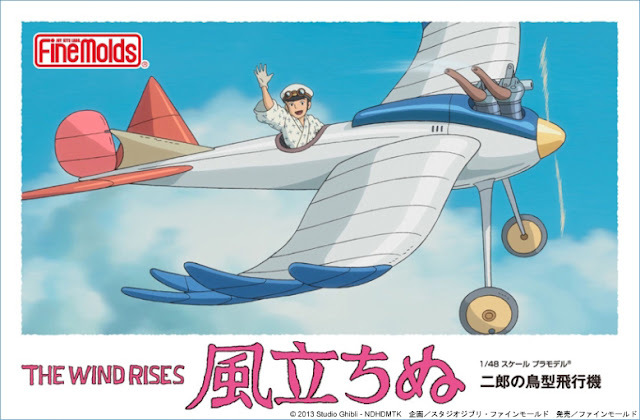 While most of Studio Ghibili's animated films have theme songs that were composed specifically for them, that of The Wind Rises was selected from an old album of famed singer and song writer Yumi Arai ( 荒井由実 ), also known by her nickname Yuming and married name Yumi Matsutoya ( 松任谷由実 ). That song was Hikokigumo, from the album of the same name released in Nov 1973 ( EMI Records Japan ). The word Hikokigumo ( 飛行機雲 ) literally translates to aircraft cloud, or contrail. Born in 1954, Yumi had started her career in the song and entertainment industry at an early age of 14 years old. When she was 16 years old one of her acquaintance, an old classmate from elementary school, committed suicide by jumping from height after a long battle with muscular dystrophy, a hereditary degenerative disease that has no cure. She composed the song Hikokigumo out of sadness. Although beautifully written, Hikokigumo was never an initial success compared to her other songs. 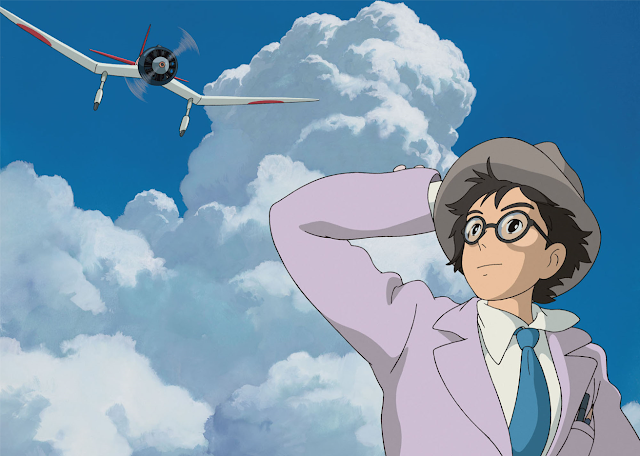 Almost four decades would have passed before Toshio Suzuki brought the song to the attention of Miyazaki in 2012, believing that it suited the film The Wind Rises very well. 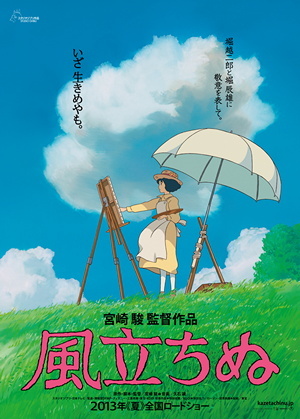 When Miyazaki decided to use Hikokigumo as the theme song of his movie, Yumi was overjoyed not least because the song had finally received the recognition that it deserved. With the release of the feature film in the summer of 2013, Hikokigumo became an instant hit in Japan.
" 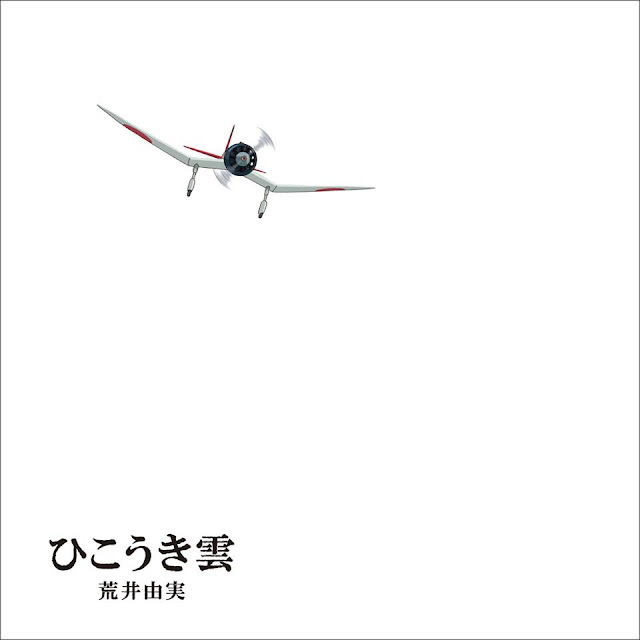 Contrails " ( Hikoukigumo ひこうき雲 ) by Arai Yumi 荒井由実. Many people would be moved to tears if only they could understand what the lyrics in Japanese were trying to say. How could one tell the story of the creator of the Zero without glorifying the War or the machine? Hayao Miyazaki had proven that it was possible, and he did it in his own stunning way. It celebrated the life and achievements of Jiro Horikoshi while reminding us about the fragility of the human life and the terrible consequences of war. The Wind Rises had been hailed as Miyazaki's farewell masterpiece. Over the years he had established his unique style of storytelling and illustration that nobody could duplicate, not his long time partner Isao Takahata, not even his own son Goro Miyazaki. When combined with the beautiful film score composed by Joe Hisaishi and the heart wrenching theme song Hikokigumo by Arai Yumi, you get a rare timeless gem of an epic that everybody should watch. Fine Molds has a 1/48 Scale model of the Type 9 Fighter. Dr Horikoshi Jiro was born on 22nd Jun 1903 in the city of Fujioka in Japan's Gunma Prefecture. He studied at the Tokyo Imperial University from 1924 and graduated with honors from the Faculty of Engineering's Aviation Department. 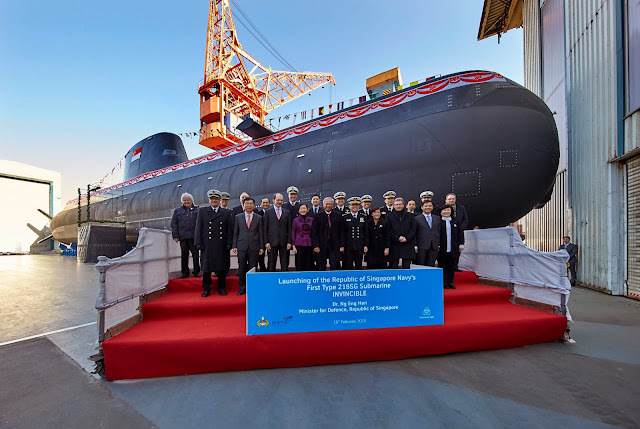 After graduation, he joined the Mitsubishi Internal Combustion Engine Company in 1927, the predecessor of today's Mitsubishi Heavy Industries' Nagoya Aircraft Manufacturing Plant which built the X-2 ATD-X experimental stealth fighter. By 1932, five years into his employment, he was appointed the chief designer for the flawed Mitsubishi Type 7 Fighter ( aka A3M1 ) for the Imperial Japanese Navy ( IJN ), then an advanced single seat monoplane design in an era still dominated by bi-planes. The project unfortunately never went into fruition and was cancelled after two of the prototypes crashed. He was then sent on a study trip to Europe and America for a year and a half to learn cutting edge aviation technology. 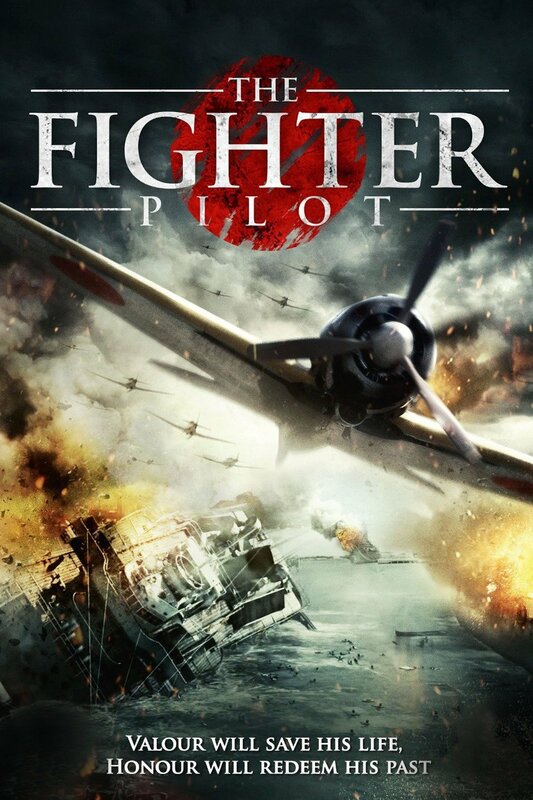 In 1934, Horikoshi was involved in designing another fighter for the IJN. Initially known as the Type 9 Fighter, the first prototype had advanced features such as smooth surfaces to increase aerodynamic efficiency and an innovative inverted gull-wing design. This unusual wing shape was prominently featured in Miyazaki's animation, with gliders and Zero fighters all having this trait. Success finally came in 1935, when Horikoshi's prototype number 2 with straight wings was adopted by the IJN as the navy's first all metal monoplane fighter. This carrier-borne fighter was also known as the Type 96 or the Mitsubishi A5M ( Allied code name Claude ). The Type 96 or Mitsubishi A5M4 Claude at the Shizuoka Hobby Show 2016. The A5M barely entered service in 1937 when the IJN started looking for its successor, with special emphasis on great speed, high rate of climb, super endurance and with maneuverability at least on par, all with existing Japanese engine designs. Horikoshi, by then Mitsubishi's chief designer, achieved the near impossible by drastically reducing the weight of the aircraft through the use of new light-weight aluminum alloys and compromising on armour protection and self-sealing tanks. The result was the Type 0, otherwise known as the Mitsubishi A6M Zero fighter, allied code name Zeke. The Zero or Reisen as the Japanese called it was the most advanced carrier-based fighter at the outbreak of the Pacific War in late 1941. It could out-fly, out-climb and out-maneuver any of the Allied fighters of that time and it had the longest range of any single-engine fighter in the world. Its only weakness was ballistic protection, where the lack of self sealing tanks made the Zero likely to explode in a fireball after being hit by enemy fire. 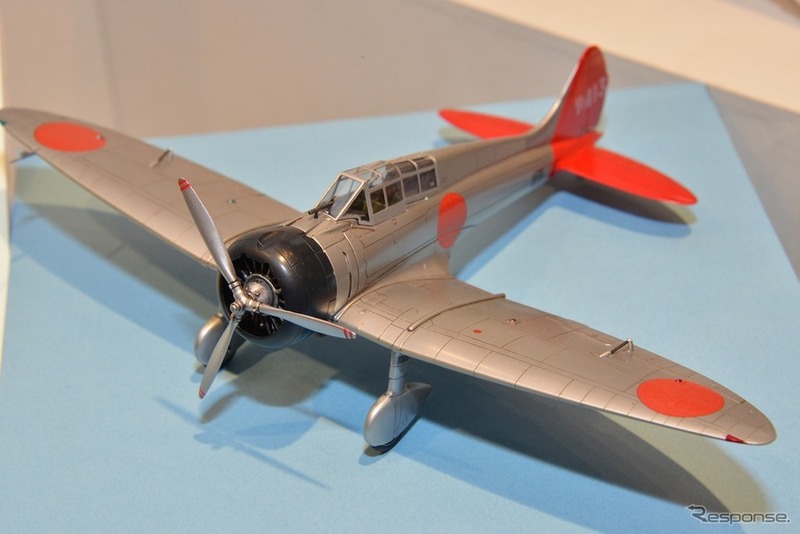 Horikoshi would continue to design other fighters for the IJN throughout the War, including the Mitsubishi J2M Raiden ( 雷電 Allied code name Jack ) and the Mitsubishi A7M Reppu ( 烈風 Allied code name Sam ) which did not see service when the War ended. Despite his close working relationship with the Japanese military and his direct involvement in building some of Japan's war machines, Horikoshi was strongly opposed to what he regarded as a futile war against the United States. He was well aware of the industrial might of the United States and had fervently hoped that his country would have some sort of exit strategy from the Pacific War before its inevitable defeat and destruction. As the war progressed, he experienced first hand the horrific nature of the USAAF's bombing raids on Nagoya where his manufacturing plant was located. The Mitsubishi J2M3 Raiden ( Allied code name Jack ). After the War, he was involved in the design of the YS-11, a twin-engine turboprop airliner. He eventually retired from the restructured Mitsubishi and took up lecturing posts first at the University of Tokyo's Institute of Space and Aeronautics ( 1963 -65 ) and later at the National Defense Academy ( 1965 - 69 ) and finally at Nihon University's Faculty of Engineering ( 1972 - 73 ). He died of pneumonia in a hospital in Tokyo on 11th Jan 1982, age 78. 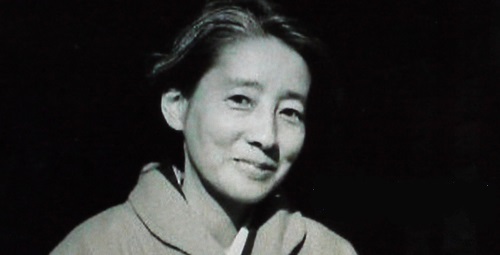 To set the records straight, Horikoshi married his wife Sumako Sasaki ( 佐々木須磨子 ) through an arranged marriage in 1932. They were blessed with six children. Sumako never had tuberculosis and therefore was never associated with any sanatorium stay. The Great Kanto Earthquake did happen in 1923 and caused widespread destruction in Greater Tokyo, but Naoko and the train journey were fictitious. The alpine resort of Karuizawa ( 軽井沢 ) does exist and today is only about an hour away from Tokyo by the Hokuriku Shinkansen（ 北陸新幹線 ). It is right at the foothills of Mount Asama ( 浅間山 ), an active volcano. Apart from the many hotspring ryokans, there is also a Premium Factory Outlet. The area is popular as a ski resort in winter. I wouldn't include the technical specifications of the different variants of the Zero Fighter in this article. You can read for yourselves here. I believe the Zero or Zerosen ( 零戦 ) as it is commonly called in Japan has a special place in the hearts of many modern Japanese, young and old alike. As Miyazaki himself puts it, the Zero is one of the few things that the Japanese people can still be proud of. Unfortunately, although the Zero was produced in greater numbers than any other Japanese combat aircraft during the War not many examples of this legendary aircraft survived. Many were sacrificed as Kamikaze suicide attack aircrafts ( 神風特攻隊 ) in the closing months of WWII. Only a handful escaped destruction and were preserved, some having been dredged up from beneath the sea or salvaged from tropical forests in the Pacific Theatre from their crash sites and carefully restored, sometimes with parts from different aircrafts. The only Zero with its original Sakae radial engine still in flying condition is in private collection in California. Numerous books had been written about the Zero, but the most notable has to be the two books co-authored and authored by Horikoshi Jiro himself. In 1956 he co-wrote the book Zerosen with Okumiya Masatake, a general in the JASDF and a former naval commander who had led Zero fighters during the War. 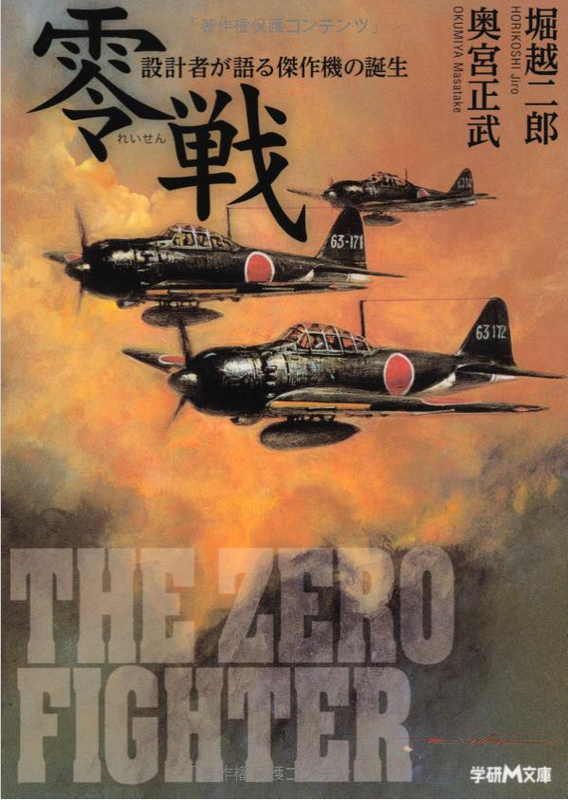 It was published in the US that same year as Zero: The Story of Japan's Air War in the Pacific. His memoirs on the development of the Zero was published in Japan in 1970 and was translated and published in English in 1981 as Eagles of Mitsubishi : The Story of the Zero Fighter. Zerosen by Okumiya and Horikoshi. The memoirs of Horikoshi Jiro. Lastly, how could I be so sure that the iconic Zero still rules Japan more than 70 years after the end of WWII? 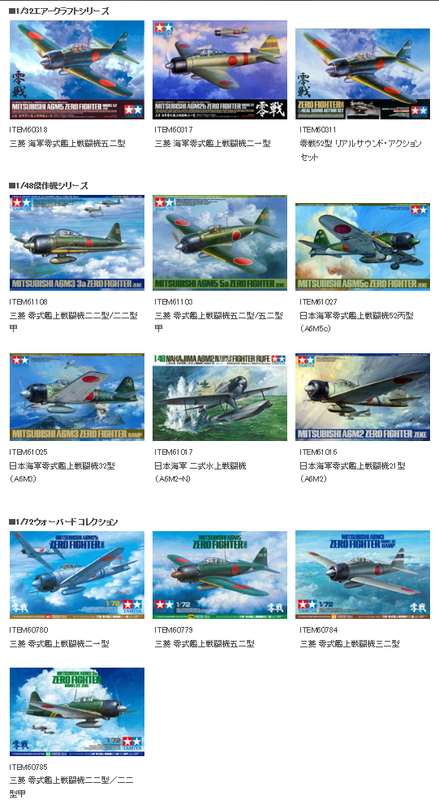 Just consider this : Japanese plastic model maker Tamiya alone lists 13 different types of the Zero fighter of various scale on its website. I didn't even bother to check on Hasegawa, Fujimi and Aoshima Models. 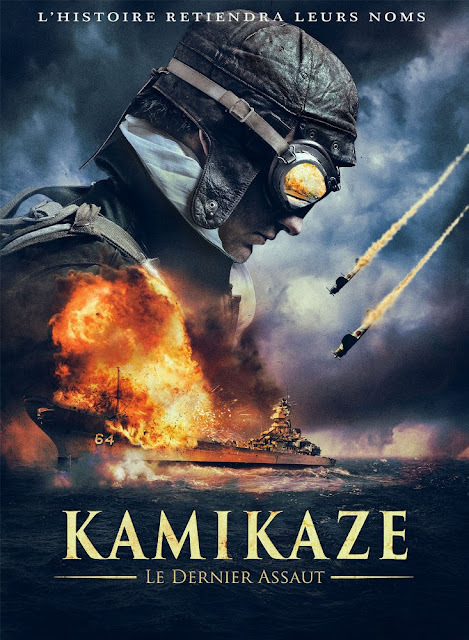 And then there was also another full length movie Eien no Zero ( 永遠の0 ), also known as The Eternal Zero adapted from the book of the same name and released in 2014 ..... but that could be for another article. 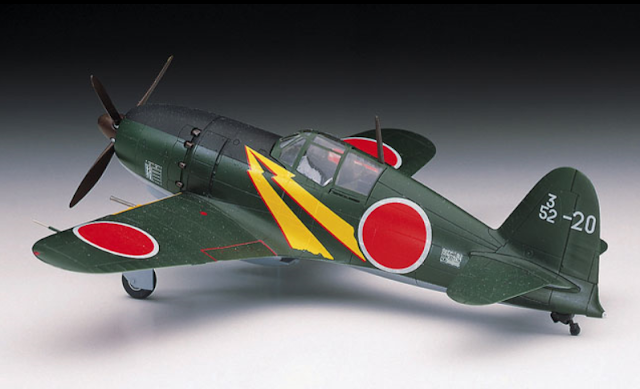 Various Zero scale models available from Tamiya. sporting Kumamon next to the Rising Sun Roundel beneath the wings. Kumamon, or Bear Monster is the official mascot of Kumamoto. JMMS - Singapore's ( and South East Asia's* ) first Aircraft Carrier?